"The Secret of the Sea" is a truly exceptional album from Italian pianist Bruno Bavota. It is a captivating experience, one that takes the listener to a place of sheer, unadulterated beauty. His piano playing on this album is truly first class - technically brilliant but with a tone & approach that focuses of melody & feeling rather than solely virtuoso expression. This level of expressed feeling was something I had come to expect from Bavota after being beguiled by "La casa sulla Luna" last year. There is more, however, within "The Secret of the Sea" ... take the opening track as an example: "Me and you" features an electric guitar / piano duet that is so utterly glorious that I asked to use in on my recent podcast - circumambient_011. It has a post-rock vibe to it that just blows me away. It opens "The Secret of the Sea" so well with the drifting ambient guitar & piano-driven melody. 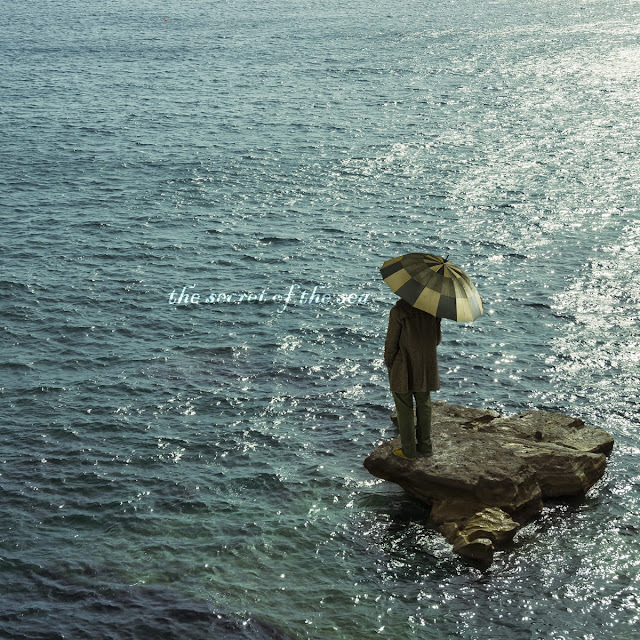 The third track - "the man who chased the Sea" - features an acoustic guitar / piano duet that is similarly lovely. It has an euphoric feel to it ... it builds in intensity and feeling through its 4m27s duration ... with the introduction of subtle percussion adding to the overall effect. A sun-riser of a track, if ever I've heard one. "The Secret of the Sea" is a treasure trove of an album, filled with real gems like the ones mentioned above & others like "Constellations" with its subtle guitar & upbeat piano-led melody ... or the exquisite grace of "If only my heart were wide like the Sea" with some seriously gorgeous acoustic guitar playing intertwined with Bavota's signature piano. Tracks like "Les nuits blanches" & "Plasson" where it is just Bavota's piano are also utterly precious. He has true skill & these tracks demonstrate this without him shouting from the rooftops with twiddly runs or more notes than necessary. His singleminded focus on melody is exemplary & these tracks prove this point extremely well. The stand-out track, for me, is "the boy & the whale" with the field recording of the ocean as backdrop to a truly elegant melody played on the piano. It is simply gorgeous & mesmerising all at once. The music contained with "The Secret of the Sea" is up there with some of the best neo-classical expression I have ever heard. It is utterly captivating & a delight to consume. My thanks go to Bruno Bavota for recording something this good & letting me in on it before it was release. "The Secret of the Sea" will be high on my "best of 2014" without any doubt?. Put it this way: "The Secret of the Sea" deserves to be huge! It should be used as incidental music on the BBC. I want to see an Osprey catch fish in slow motion and in HD with a song like "the man who chased the Sea" as it's backing. If you enjoy piano-led melodies and neo-classical soundscapes then you will love "The Secret of the Sea". I do. "The Secret of the Sea" is released on Monday, 21st April on Pyschonavigation.